Issue: Is wife entitled to innocent spouse relief? Summary of Rationale: Mandatory innocent spouse relief is not available under either I.R.C. § 6015(b) or (c) if the spouse seeking relief had knowledge of the tax problem. The wife obviously knew of the husband’s gambling losses; she prepared the joint returns at issue. The safe harbor requirements for discretionary innocent spouse also require that the spouse seeking relief have no knowledge of the tax problem, so those requirements were not met as well. The result therefore turned upon the discretionary relief factors. Factors favoring relief were that the marriage had ended in divorce and that the wife had not benefitted materially from tax underpayment. Financial hardship was a neutral factor, as the wife had $110,000 in annual income. Factors opposing relief were the wife’s knowledge of the tax problem and her lack of future compliance with federal tax law (she filed no return at all for 2014). Balancing the factors, the court concluded that the wife was not entitled to relief. Observation: It is hard to understand the wife’s position. She was clearly aware of the gambling losses; the problem was that they were deducted twice on a joint tax return that the wife herself prepared. The wife either knew or should have known that an otherwise proper deduction cannot be taken more than once. There would not, therefore, seem to be any basis for concluding that the wife was innocent. Facts: The husband was employed by Publix supermarkets, and he acquired as a fringe benefit of employment $200,000 in Publix stock. In 2009, he was fired. Shortly afterward, he began an extramarital affair, which he funded by selling stock. The wife was unaware of both the affair and the stock sales. To avoid disclosing the stock sales, the husband instructed his accountant “to electronically file their  joint return without petitioner’s approval or review.” 2017 WL 1382242, at *3. The return reported the stock sales, but it did not report dividends on the stock. In late 2011, the wife discovered the affair and filed for divorce. Alas, it was too late; the husband had spent his entire stock account and much of the parties’ retirement savings. On the wife’s 2012 tax return, she claimed a refund. The IRS reduced the refund by the tax attributable to the dividends that the husband had failed to report on the joint 2010 return. The wife petitioned for innocent spouse relief. The IRS agreed she was entitled to relief, but it refused to give her a refund. The wife appealed to the Tax Court. Issue: Was the wife entitled to her 2012 refund? Summary of Rationale: The IRS granted the wife mandatory innocent spouse relief under R.C. § 6015(c). That section allows the innocent spouse to avoid positive liability, but it does not allow the innocent spouse to obtain a refund. The wife then argued that she should have been given relief under I.R.C. § 6015(b), which does allow the innocent spouse to receive a refund. The IRS argued that the wife was not entitled to relief under § 6015(b) because she should have known of the tax underpayment. The wife had no financial education. She and the husband kept separate accounts and generally did not share financial information with each other. The husband concealed the stock sales from the wife, going so far as to instruct the accountant to file the return without the wife’s review. The court held that the wife did not have reason to know of the tax problem. The wife received no benefit from the tax underpayment, which the husband completely concealed from her. The court concluded that it would not be equitable to hold the wife liable for the taxes at issue. The wife was therefore entitled to her 2012 refund. Taft is the kind of case that gives the IRS a bad name. The wife was obviously defrauded by the husband and his accountant. The IRS went out of its way to grant relief under § 6015(c) so that the wife would not receive her refund, and then made extremely weak arguments to defend that treatment in the Tax Court. The IRS should have granted relief under § 6015(b) to begin with. The wife apparently did consent to filing the joint return. One wonders whether the wife might have had an argument that her consent was procured by fraud so that there was no valid joint return to begin with. One material disadvantage to electronic filing may be that there is less opportunity for the spouse who did not prepare the return (or have it prepared) to read the return before filing. In hindsight, the wife obviously should have insisted upon reading the return. 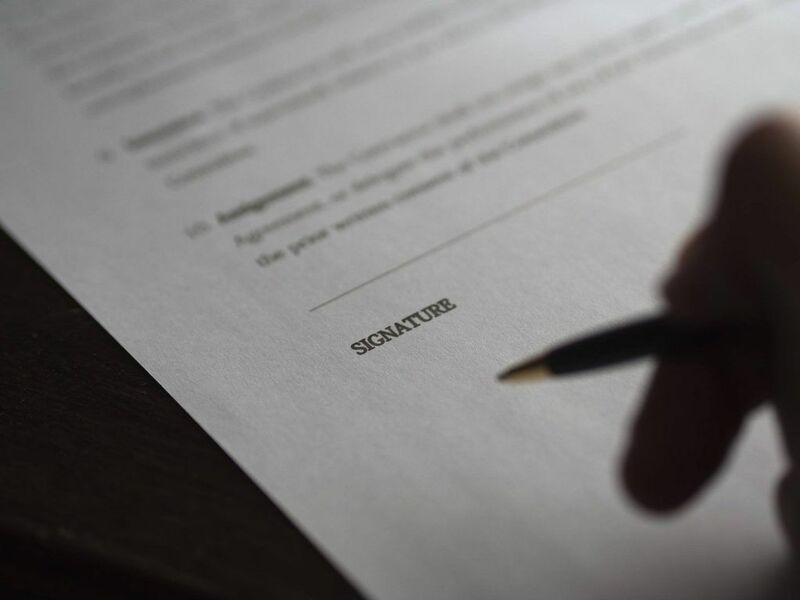 But the tendency of financially dependent spouses to sign joint returns without reading them is one the core reasons why the Code allows for innocent spouse relief. It is probably unwise to assume that an accountant or other tax professional hired by your spouse to prepare a joint tax return will owe you any particular duty of loyalty, especially if that person has a longstanding relationship with your spouse. Signing any joint tax return (physically or electronically) without reading it is a dangerous practice.